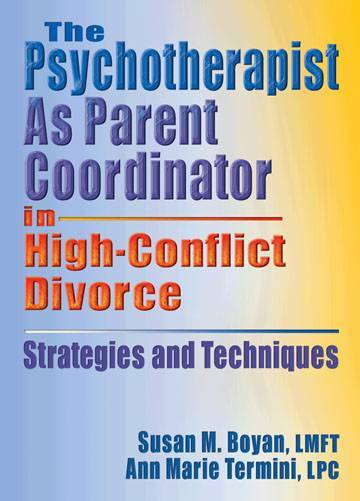 Presented by Bradley S. Craig, LMSW-IPR, CFLE and Aaron Robb, Ph.D.
For some parents, conflict continues to create distress for them and their children beyond the separation and/or divorce. Problems may arise over issues that are not specifically addressed in their parenting plan. For example, the parenting plan may say that parents decide together on extra-curricular activities for their children but may not indicate how to deal with disagreements about these activities. When a conflict arises, children often feel caught in the middle. This situation may put them at greater risk for emotional and behavioral problems—e.g., poor school performance, anxiety, uncontrollable anger, and depression. While divorce itself places children at risk for various psychological difficulties, research has shown that the strongest predictor of child maladjustment after divorce is exposure to high levels of inter-parental conflict, particularly when the conflict is hostile, aggressive, poorly resolved, and focused on issues pertaining to the children. In a small percentage of families of divorce, such conflict continues at a high level for several years following the formal divorce decree, and it typically causes the children and the parents to suffer significant and prolonged psychological distress. Intense and prolonged inter-parental conflict can also cause problems for children indirectly. It can impair the ability of each parent to deal effectively with the children. It can also draw the children into the conflict and disrupt the children’s relationships with one or both parents. Children may be exposed to alienating and/or estrangement behaviors by one or both parents. In addition, it can lead to a reduction in financial support of the children by one or both parents due to the financial costs of repeated litigation and one or both parents becoming less willing to contribute financially. In some cases, the behaviors of one or both parents may lead to the alienation of the children's relationship with a parent. Parenting coordination and parenting facilitation are problem-solving services offered to parents raising children between homes who seek professional assistance in working together to keep their children free from the parents’ conflicts. Both are child-centered dispute resolution services that assist parents in developing and implementing workable parenting plans when they are unable to do so on their own. Both services may be ordered for families through the court for high conflict families and are codified in the Texas Family Code and Texas licensing boards (see below). The presenters will address appropriate professional boundaries and assist to clearly define roles. Understand the roles of parenting coordinator and parenting facilitator, including working in an interdisciplinary psycho-legal context. Understand the different formats/approaches to parenting coordination and parenting facilitation. 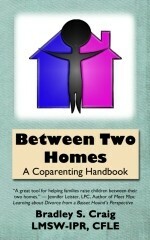 Better understand co-parenting issues and the needs of parents and children in dealing with co-parenting issues, with emphasis on high conflict families. Review the development of parenting plans and parenting coordination and parenting facilitation techniques and issues. Discuss the ethical challenges of parenting coordination and parenting facilitation. Learn tools for option development with conflicted families. In the event you cancel seven days prior to the training date, you will received a full refund. If you cancel less than 7 days prior to the training date, there will be no refund made. You may at designate a substitute to attend the training session being offered. If you would like to be put on a waiting list or notified of future training, click here. 24 separate classroom hours of training in the fields of family dynamics, child development, and family law. On request by a party, an attorney for a party, or any attorney for a child who is the subject of the suit, a person under consideration for appointment as a parenting facilitator in the suit shall provide proof that the person satisfies the minimum qualifications required by this section.